When we first met in 2012, this local organic farm and market had zero web presence. They desired a website to attract more customers and increase visibility of their value to the community. 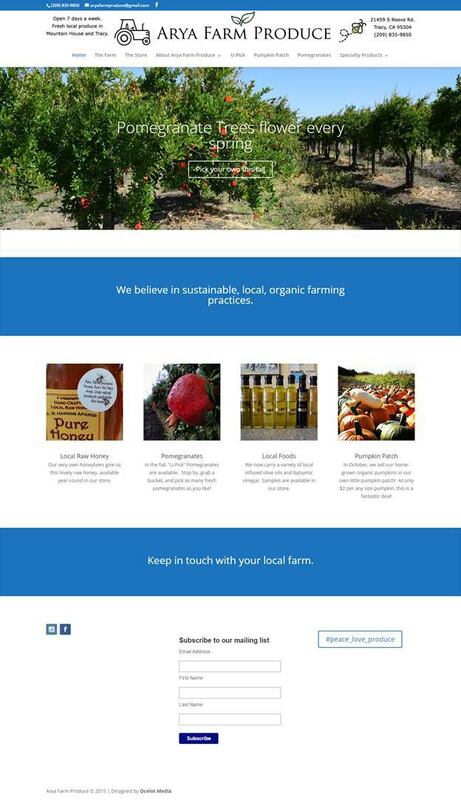 We designed a rudimentary website for Arya Farm Produce in 2012 which increased their visibility quite a bit. We also made sure they were present on Google, Yelp and more. In 2013 we started bimonthly email marketing campaigns which is sent to an email list gradually generated by incoming customers. In two years we drastically grew this list and these emails have had a direct impact on their sales. In 2015, we updated the site to give it a fresh, modern look while making all the information easier to access.